Substance abuse is an extremely difficult, often complicated issue. The answer to a substance abuse issue is rarely, if ever, simply to stop. It’s very difficult to stop using, and the reasons that a person started to use are often more pertinent than using itself. Trauma, environmental circumstances, and mental illness are often the sources of substance abuse. We’re going to talk about dual diagnoses today. In particular, we’ll talk a little bit about what a dual diagnosis is and what to expect in dual diagnosis treatment. A dual diagnosis is a diagnosis that declares a person having a substance abuse issue in addition to a mental health diagnosis. The term is an umbrella for a number of issues that can correspond in hundreds of ways. Most importantly, a dual diagnosis sees issues as being comorbid. This means that one person’s depression can fuel their alcoholism and vice versa. You could really insert any substance abuse issue and any mental illness into those categories. It’s often the case that a person’s mental illness goes undiagnosed. This causes that person to have an extremely difficult, uncomfortable time in their own skin. Substances like drugs and alcohol can often serve as a temporary respite from the pain and hardship of mental illness. The comfort of substance use begins to fuel and exacerbate the symptoms of mental illness that a person has. This is true on a biological level and a social level. One’s social life is severely affected when they begin to develop an addiction. Friends and family who were once close support begin to lose touch as a person slips further into the throes of substance abuse. Additionally, the human body often amps up anxiety and emotional turmoil when it is regularly subjected to mind-altering and physically taxing substances. When you’re looking at entering yourself or a loved one into a dual diagnosis treatment, you should be prepared for a couple of things. 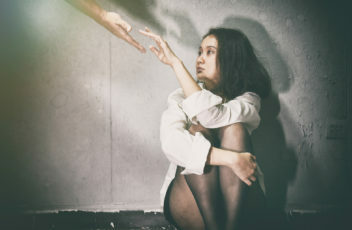 First, the treatment will deal heavily with mental health, as it’s likely that a person’s mental stability is the most essential piece of recovery. Talking with therapists and working through issues that are underlying the situation is a must. Second, you’ll be dealing with recovery and mental health help at the same time. This can be overwhelming, as you’ll be receiving a lot of information all at once. Not all treatment facilities have dual diagnosis options, so it’s important that you do your research and find a facility that works well for your particular diagnosis. Although facilities are less common, it’s important to remember that dual diagnoses are very regular when it comes to addiction and mental health. You are not alone in your struggle to fight these two issues, and you’ll be surprised to find a large network of people who have an idea of what you’re going through. Handling these situations is extremely taxing on one’s friends and family. It’s important that a person’s substance abuse and mental health are handled directly and sensitively. Talking about treatment is a huge part of that. If you’re interested in getting a dual diagnosis treatment for yourself or a loved one, visit our site to learn more. If you believe your loved one is suffering from addiction, you may want to stage an intervention. Before doing that, you need to make sure you are sure about their addiction, instead of simply having a hunch. There are many signs that differentiate an addiction from other physical or mental issues. Heroin addiction, specifically, comes with some very distinguishable signs. Here are a few things to look out for if you believe someone you love is a heroin addict. Heroin is a drug that makes the body slow down. Many of the physical reactions to the drug have to do with slowing down, including a reduced heartbeat, lower blood pressure, and slower breathing. This leads to the drowsy state that is common for any heroin addict. If you notice your loved one nodding off as if they are sleeping, it may be a sign of heroin use. Heroin use can lead to many notable personality changes. Specifically, you may notice that heroin addicts become more sheltered from society as they begin to only take solace in the drug. You may also find them to be more aggressive and showing little care for their life and loved ones. 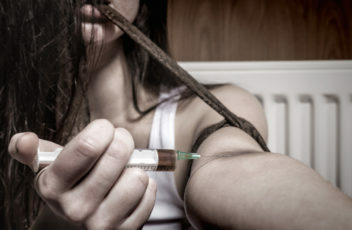 Most heroin users rely on needles to inject the substance. This leads to needle marks due to the lack of professional expertise in using needles. If you notice many needle marks in different places on your loved one, that is a clear sign of self-injecting. Heroin usage often comes with appearance changes. This can be for various reasons. 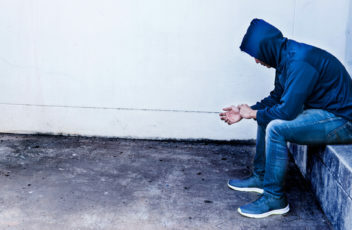 Heroin users typically don’t care for themselves, so they tend to lack in basic hygiene and their clothes may start to appear rattier. Heroin also makes it difficult to sleep, so you may notice that your loved ones look tired or sick once they start using. Appearance changes are easy to spot, especially as the heroin usage becomes effective. Heroin is a costly drug. Though the bags themselves may be inexpensive, there are other ways it impacts users financially. Addicts usually dwindle their cash at hand on buying heroin and other products to support their addiction. On top of that, heroin usage often leads to lower work productivity or attendance. This can lead to your loved one losing their job, causing further financial instability at the hands of heroin. 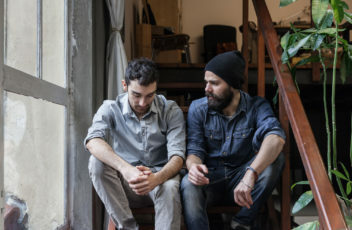 If you believe that someone you care about is a heroin addict, you should look to get them help right away so that they can get their life back on track. 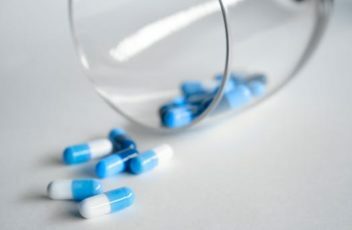 Though an intervention may help, professional drug rehab is typically necessary to get off this highly addictive drug. There are many types of recovery programs that you can choose from, and determining the best one is a key step on the road to recovery. Be sure to read about the programs offered at Pathways Florida in order to help your loved one get their life back. In the United States, the drug epidemic spans across generations, races, ethnicities, and economic statuses. It’s a problem that not only impacts the lives of the addicted but impacts their family and friends as well. Nearly half of all adults in America are suspected to have a family member or close friend currently battling a drug or alcohol addiction. And while these loved ones may not be hooked on a substance themselves, they still face the hardship of seeing a mother, brother, or best friend succumb to disease. Family and friends are often confused about how to deal with a loved one with an addiction. They want to help the one they hold near and dear but aren’t sure how to do that in a way that’s safe for all of those involved. If you find yourself caring for a close relative or friend with an addiction, keep reading and we’ll give you some important tips for family members of addicts. 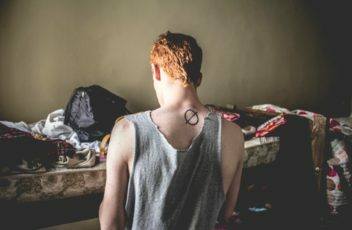 The first step in helping your loved ones if they are addicted to drugs is educating yourself on what addiction really is and what’s it’s not. Addiction is a chronic disease that tricks a person’s mind into believing harmful behavior is actually satisfying to the biology and psychology faculties of the body. Addiction is not the result of a weak mind and reckless choices. It’s also important for family members of addicts to understand that many people with drug or substance abuse issues have some deep-rooted personal triggers they try to numb with mind-altering chemicals. These triggers must be dealt with carefully if a person is going to successfully overcome an addiction. Oddly enough, it’s quite common for family members of addicts to enable their loved ones. Family members will do things from loaning money, to making excuses for loved ones, to bailing loved ones out unsavory situations. These are all not helpful behaviors. In addition, it’s not helpful to deny a loved one has an addiction if all the signs of addiction are present. Denial will just convince a loved one not to get the help he or she needs. While you may not be able to control your loved one in the addiction, you can control how you respond to that person while he or she is abusing substances. It’s up to you not to join your loved one and start abusing substances. It’s up to you not to become stressed out to the point you manifest physical symptoms. And it’s up to you to seek out support groups for family members of addicts where others can relate to how you’re feeling and help you through this journey. Remember that beyond the addiction and disheartening actions of your parent, sibling, or even cousin, love is still present. You still love the addicts, and they still love you. And they need you to love them enough to support them in getting the help they need. 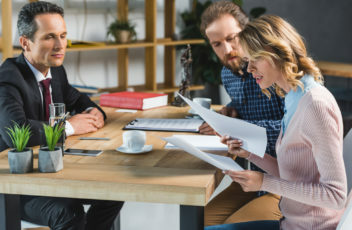 Should you have further questions about how you should handle a loved one with an addiction, or you are interested in getting a loved one into a highly qualified rehab center in Florida, make sure you contact us. If you’re reading this you may have experienced an overdose or know someone who has. It is critical that you understand the severity of an overdose in order to proceed with a timely manner. Below is a detailed guide to understanding what do if someone you know has overdosed. An overdose is a brain injury caused by a lack of adequate oxygen flow. This imbalance is a result of taking more than the recommended amount of a drug. A large overdose can cause a person to stop breathing and die if not treated right away. There is a growing concern regarding fentanyl contamination since many people may not be aware that their drugs include such a dangerous additive. According to the Centers for Disease Control and Prevention (CDD), Fentanyl is approximately 50 times as potent as heroin. This additive is being mixed into counterfeit opioid pills, cocaine, heroin, and methamphetamine. This non-pharmaceutical substance is, according to the CDC, a likely contributor to deaths involving the other substances. So fentanyl overdoses should be treated similar to heroin overdoses– except that time is especially of the essence. Someone I know Overdosed. What Do I Do? If the person is showing symptoms of shortness of breaths, rub your knuckles hard over their chest bone. If unresponsive, call 911. Rescue breathing is crucial when dealing with an overdose since the majority of deaths are due to respiratory failure. Proceed to tilt the head, lift the chin, and pinch the nose. The seal their lips and give two quick breaths into their mouth. Then give one long breath every five seconds. Naloxone can quickly reverse the overdose of opioids. If you have access to the medication (also known as Narcan) administer it accordingly. Draw 1cc of naloxone into a syringe and inject it into a major muscle. These can include the buttocks, thighs or shoulders. It is suggested to continue the practice of rescue breathing while the naloxone takes full effect. If the person is still unresponsive after five minutes, administer another dose of the medicine. Naloxone is available as an injectable (needle) solution, a hand-held auto-injector, and a nasal spray. Read more about the prescription here. Substance abuse by someone you know can have a serious emotional effect on you. If your neighbor, friend, or family member overdosed in the past be aware of the risk of it happening again. Don’t give up on communication and support, and encourage the person to participate in a treatment process. Oftentimes, the lack of knowledge of what addiction feels like can be obtrusive and slow down the healing process. Contact us today to discuss and learn more about treatment options. Nearly 21 millions Americans suffer from a substance addiction of some kind. While some of these individuals present their addictions fairly obviously, many of them tend to hide their addictions away from family, friends, and colleagues. Do you question whether someone you’re close with is suffering from an addiction? Wondering how to tell whether or not addiction is present? Here are 6 signs of addiction to look out for. Does your loved one seem to have a lessened interest in a hobby that he or she once enjoyed thoroughly? If so, addiction could be at the root of the problem. Those who develop addictions often lose interest in everything but the substance that they’re addicted to. They will forego once-loved activities in favor of getting their next fix. Another sign that your close friend or family member is suffering from an addiction is if he or she is spending huge amounts of money on potentially addictive substances. While sporadically spending small amounts of money on alcohol or marijuana isn’t a huge cause for concern, regularly spending hundreds of dollars on potentially addictive substances is. Do your best to monitor your loved one’s spending habits. If huge amounts of money are being spent on drugs, you’ll need to have a conversation with your loved one about drug abuse. It’s healthy for human beings to make new friends. However, not every new friendship is a good friendship. Some friendships are formed through the sharing of negative activities, particularly drug use. If your loved one is hanging out with some questionable new people, it should give you pause. Try to ascertain the nature of your loved one’s relationship with these people. Is your loved one regularly forgetting to pay the bills? Is he or she repeatedly calling off from work? Is his or her house a general pigsty? If so, addiction could be the culprit. Those with addictions often have a difficult time tending to their necessary responsibilities. Perhaps your loved one is spending a lot more time alone than he or she once did? Often times, depression breeds addiction. A depressed individual will often shut him or herself away from other people and use addictive substances to self-medicate. There are plenty of people who indulge in illegal substances but who are not addicts. After all, not everyone you see at the bar is addicted to alcohol. Usually, you can tell the difference between an addict and a non-addict by their respective tolerances. For example, while a non-addict might be drunk after 6 beers, an addict might not be drunk until he or she consumes 12 beers. The more that someone indulges in a specific substance, the higher the tolerance he or she will have for that substance. Ergo, higher tolerance equals a higher chance of being an addict. Have You Noticed Signs of Addiction? Have you noticed signs of addiction in your loved one? Hoping to get help for him or her? If so, and if you’re looking for help in the Sarasota, Florida area, Pathways Florida is the facility to call. We offer treatment programs for a number of substances, including but not limited to opioids, alcohol, and prescription drugs. Contact us today to discuss treatment options. 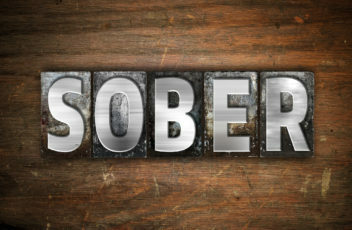 It is estimated that 90% of people who reach long-term sobriety had at least one relapse. Though relapse is common, it can be very hard to get sober after a relapse. Here are 5 tips for staying sober that can help. Having an unpredictable, chaos-filled lifestyle can hurt your sobriety. At this time in your life, what you need is order and structure. Set a daily and weekly schedule for yourself and stick to it. Use a planner or a calendar app to track important parts of your new schedule. Not only will this help you reach your goals, but it will also support your life after rehab. There are many things about your old life that need to change in order for a sober recovery. One of the most useful tips for staying sober is to welcome change into your life. You can’t just erase old friends, habits, and excursions. To truly make a change, you need to fill those voids with something new. You can make new friends and plan new and exciting activities you’ve always wanted to try. For example, you can take up ceramic classes, learn karate or train for a marathon. You’ll avoid boredom and also have new things in your life that make sober living valuable and happy. You don’t need to have a fine arts background in order to unleash your creativity. Allowing yourself to enter a creative state of mind is a great way to connect with your psyche and recharge your batteries. It really doesn’t matter if what you create is any good. And it doesn’t matter what type of creation you choose. It can be painting, doodling, coloring in a coloring book, writing poems, or playing an instrument. Entering a creative sphere will help you add tips one and two to your life. And it may help you tap into emotions that are deep inside yourself. That’s why art therapy is so successful. There are hundreds of physiological and emotional benefits to exercise. And when you are working on staying sober, you need every single one of those perks. From better sleep to less stress, to happy chemicals zipping around your brain, feeling good is a huge part of how to stay sober. Exercise can also fight boredom. Being bored is a common relapse trigger. By making exercise a habit in your new lifestyle you will build a healthier you for the years ahead. At some point during your recovery, you will need outside support. A support group is an excellent tool that can help you stay on the right track when you feel unsure. There are various types of support groups. All you have to do is find one that speaks to you. Whether it’s online, faith-oriented or something else. These groups help you get support but also give it. Remember, there may be someone else out there who could benefit from your support and your story. Staying sober is a decision you will continually make for the rest of your life. You will always be susceptible to relapse. That’s why it’s crucial that you establish habits that will help you shield yourself against triggers that can bring on relapse. Next, learn the difference between inpatient and outpatient rehab. According to recent studies, 90% of people who are in need of drug rehab do not receive it. And while this number is extremely high, it’s only bound to increase if people are not aware of their options. Let’s take inpatient/outpatient rehabilitation for example. If you have not done your research, both programs may seem a bit out of reach. From out-of-pocket expenses to the time spent in the program, a lot of addicts are reluctant to step foot inside of a rehabilitation center because the facts have never been presented to them. Fortunately, we’ve got you covered. If you have been wondering what the difference is between inpatient vs outpatient rehab care, here’s all that you need to know. One of the main differences when it comes to inpatient vs outpatient rehab is where rehabilitation takes place. For inpatient programs, the patient stays in the facility and for outpatient, they are able to go home. While outpatient seems a bit more flexible, there is a higher success rate with inpatient rehab. Because the patients are in a controlled environment, inpatient rehab makes it easier to promote a positive lifestyle. No matter how much you pay for rehab, it will cost you more money if you decide not to go. And while inpatient care is proven to have a higher success rate, outpatient treatment is more affordable. At most facilities, inpatient rehab comes equipped with room and board, meals, and activities for the patients. With outpatient detox fees, you’re looking at only paying for the program. Which Treatment Is Best For Your Addiction? One of the biggest variables to consider when choosing between inpatient vs outpatient treatment is the severity of the addiction. While outpatient care may be more convenient and affordable, it’s important to consider the severity of the addiction prior to committing to a specific rehabilitation program. As a rule of thumb, inpatient addiction programs are designed to treat those with more severe treatments. Because these inpatient programs can last anywhere from 28 days to 36 months, they are great for those who are trying to tackle their addiction and keep outside distractions to a minimum. Outpatient rehab, however, is designed more for those who face mild addictions. If the patient is trying to receive treatment but maintain their daily routine, outpatient rehab usually offers 10 to 12 hours of treatment a week. Learn More About Inpatient vs Outpatient Rehab Here! Whether you’re looking to learn more about inpatient vs outpatient rebab or are looking to check a loved one into rehab, we’re here to help. Pathways Florida has been around for over 30 years and has dedicated staff ready to assist you and your loved on to a better way of life. Not sure if there are rehab programs right for you? No problem. Feel free to take a look at our treatment programs and see which solution seems more suitable for you.